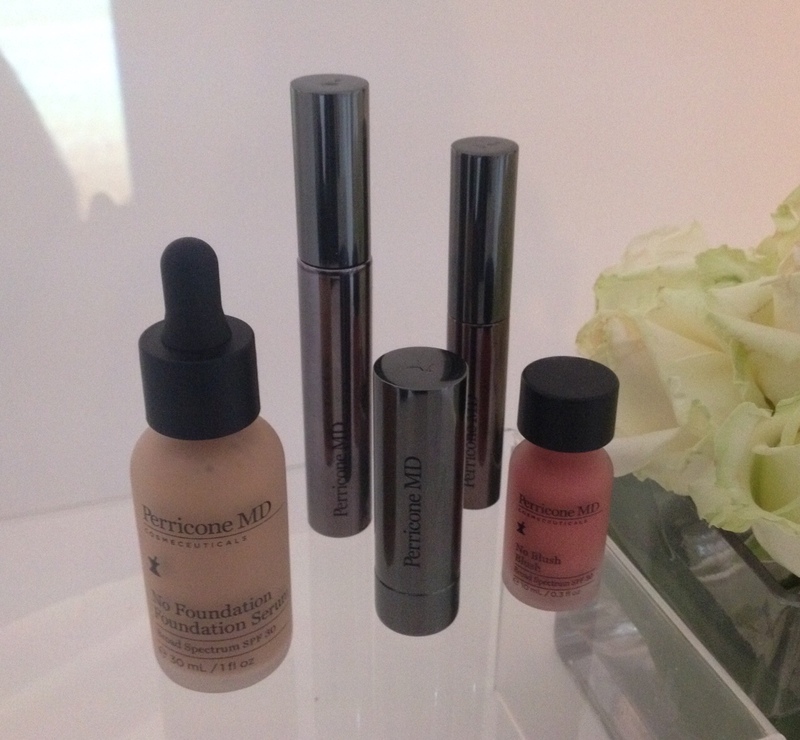 I’m so excited that cosmeceutical brand Perricone MD has brought out a make-up range! I really rate the skincare and this new premium range of beauty-enhancing products does not disappoint. There are seven items in the collection, which features Dr Nicholas Perricone’s anti-ageing skincare technology: No Foundation Foundation Serum (£45), No Bronzer Bronzer (£29), No Blush Blush (£29), No Mascara Mascara (£25), No Concealer Concealer (£29), No Lipstick Lipstick (£25) and No Foundation Foundation (£45). I went to the UK press launch of the range a few weeks ago and got to see and try out the products first-hand. So what are they really like? No Foundation Foundation Serum feels as you would expect, the texture melts into the skin giving a weightless, semi-matte finish, and is formulated with neuropeptides to help firm skin and minimise wrinkles and pores. It also contains a broad spectrum SPF30 for UV protection. But it only comes in one shade as far as I can tell, and unfortunately its a touch too dark for my fair skin. 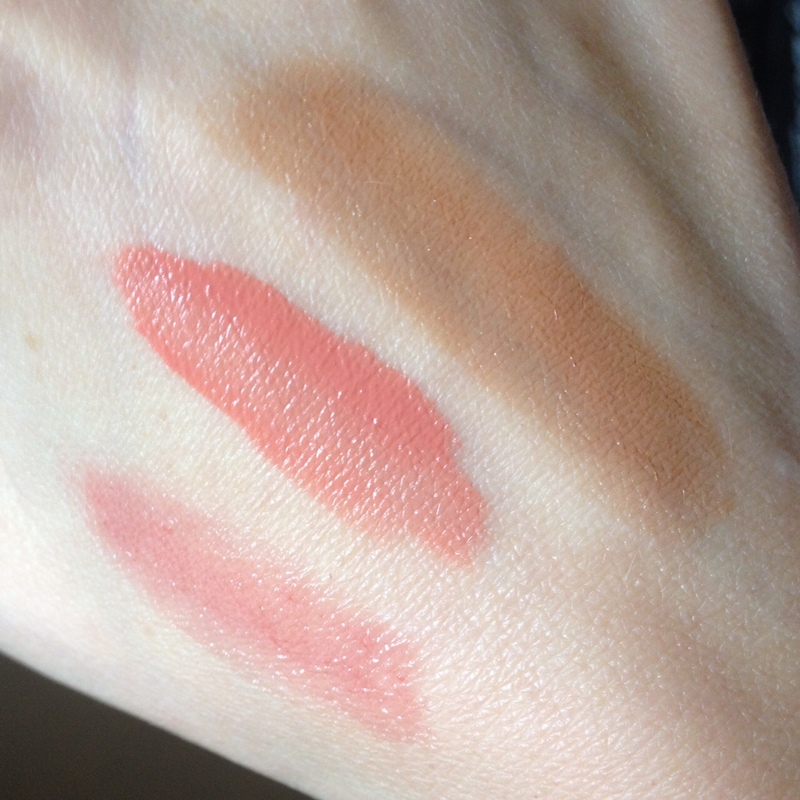 The customisable No Bronzer Bronzer and No Blush Blush are both swatched below (with the lipstick underneath), and look best when they are blended together to give a super-natural, healthy glow that is totally on-point. Try it and see! You can also mix one drop of the bronzer with the foundation serum to warm up the colour. Ingredients include Vitamin C in the bronzer and DMAE in the blush (Perricone’s star anti-ageing ingredient which helps sculpt the face). Both are going with me on my next sunshine break. No Mascara Mascara is really, really good. A 2-in-1 treatment and mascara, it builds and defines longer, thicker lashes while strengthening them with each application – it’s those neuropeptides again. 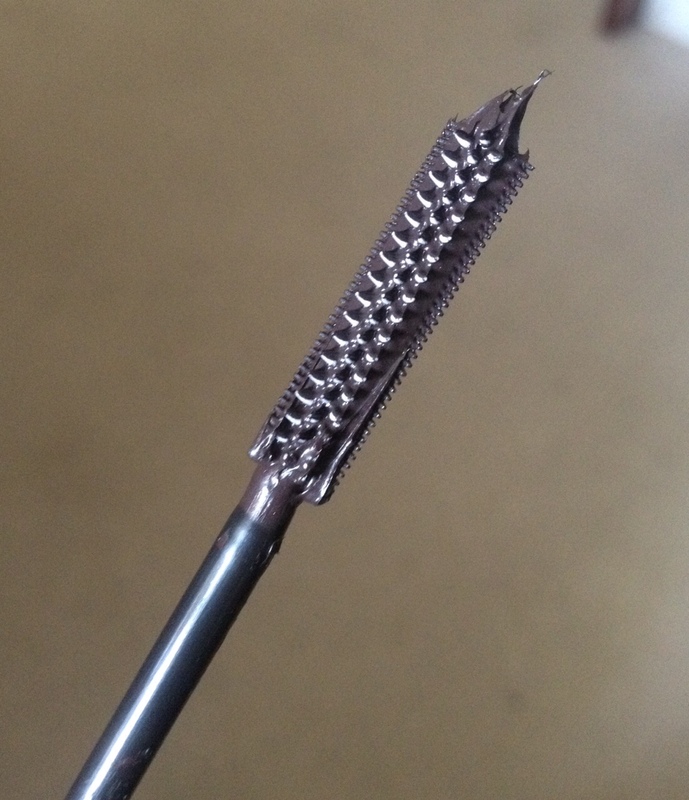 Check out the root-to-tip brush below, which includes a fine tooth comb. Clever, revolutionary and in one universal (unnamed) shade only. No Concealer Concealer is mainly for lightening shadows and brightening the eyes. It contains Vitamin C Ester to help boost collagen and gradually fade dark circles. Unlike similar products, it also works well on blemishes, and an eye primer. One shade only which is pretty light, good for fair skin. No Lipstick Lipstick is one of my favourites, it gives a just-bitten look that is said to enhance lip contours and mimic the natural, rosy colour of youthful lips and the vermilion zone (that’s the area inside the lips FYI). It also contains neuropeptides, broad spectrum SPF15 and tastes like caramel! See the swatch above. Finally, No Foundation Foundation comes in two shades – No.1 (Fair to Light and my match), and No.2 (Light to Medium). Featuring another of Perricone’s hero ingredients, Alpha Lipoic Acid, which helps minimise the appearance of wrinkles and pores, plus broad spectrum SPF30, you can also create custom colour by blending the two shades together, although this is going to be a fairly pricey way of finding a foundation that suits you! Coverage is buildable and the finish is dewy. The collection launches exclusively in Selfridges on 25th June 2015. Launching in other leading department stores and on perriconemd.co.uk on 2nd July 2015. Thank you! Yes the serum is really fab! I absolutely love the serum. The only downer is the shade isn’t universal. Agree completely, but maybe they will bring out other shades down the line – really hope so!